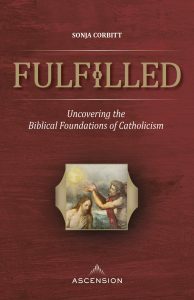 Fulfilled explores the biblical roots of the Catholic faith. It uncovers God’s consistent design for our worship of him and his relationship with us. Learn how the Old Testament Tabernacle can be used as a blueprint for the Catholic faith and how Jesus fulfilled it in the New Testament. This study focuses on the elements found in the outer sanctuary of the Tabernacle and how they connect to the liturgical calendar, the priesthood, purgatory, baptism, and more. We are offering this Bible study on Tuesdays from 9:30-11:30 am in the Emmaus Room and on Wednesdays from 7-9 pm in the Good Shepherd Room. Mary Huebscher will lead Tuesday mornings, and Evelyn Huron will lead Wednesday evenings. We begin on February 19 and 20. The study lasts eight weeks with a week off for spring break. The cost is $25. Questions? 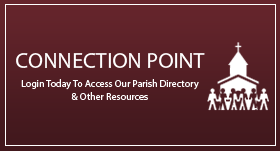 Contact Larry Perry in the parish office. Please register for this Bible study online at https://connectnowgiving.parishsoft.com/f/f2?formid=71ad3b52-cd30-468a-9168-0d2b1e080db6.